Lightweight, fun and easy to use, the Canon EOS Rebel SL2 camera further proves that quality is key, helping you capture stunning photos and videos you'll love to see and share. 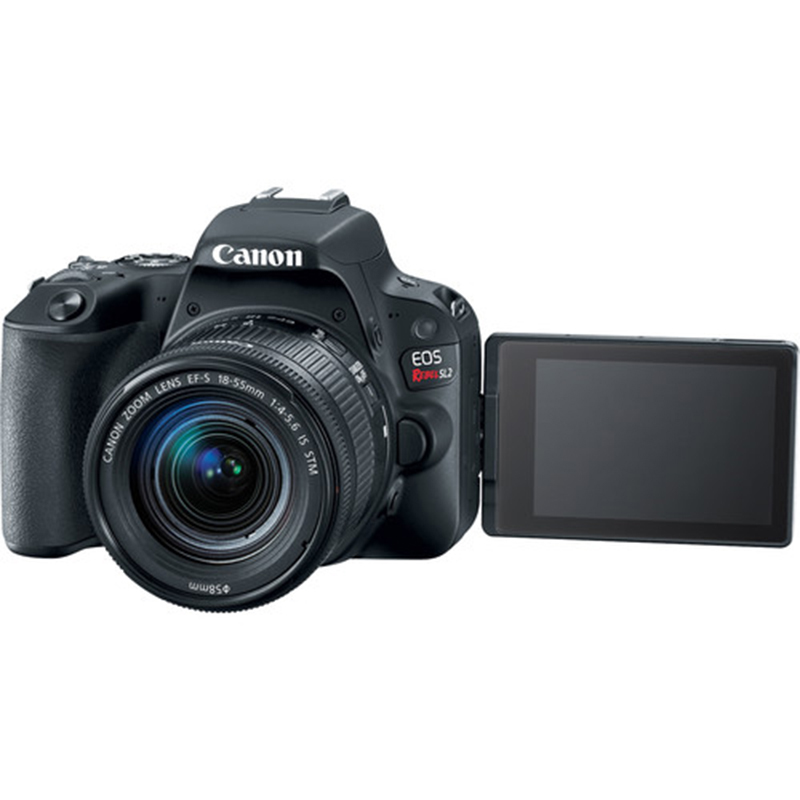 The 24.2 Megapixel CMOS (APS-C) sensor and DIGIC 7 Image Processor deliver brilliantly sharp results, with Dual Pixel CMOS AF keeping your videos and photos in clear focus. Whether you’re taking selfies or vlogging, the Vari-angle Touch Screen LCD helps capture shots at a variety of angles and situations. A Feature Assistant function is available to help guide you through a shot if needed, and when you’re done you can share your creations on the spot thanks to built-in Wi-Fi®, NFC and Bluetooth® connectivity. 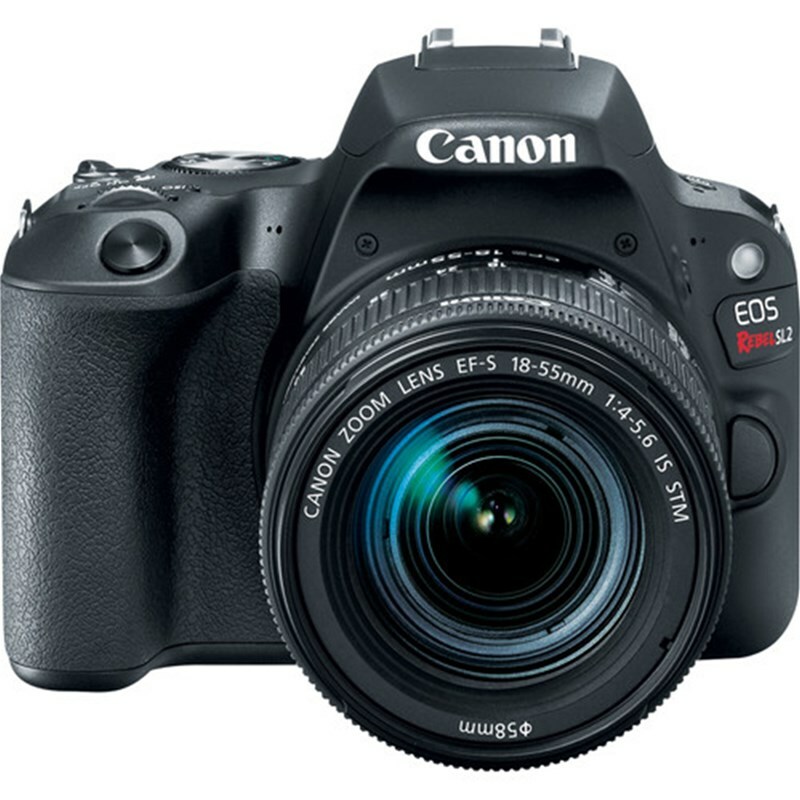 Easy to bring and simple to operate, the EOS Rebel SL2 puts creative power in your hands. 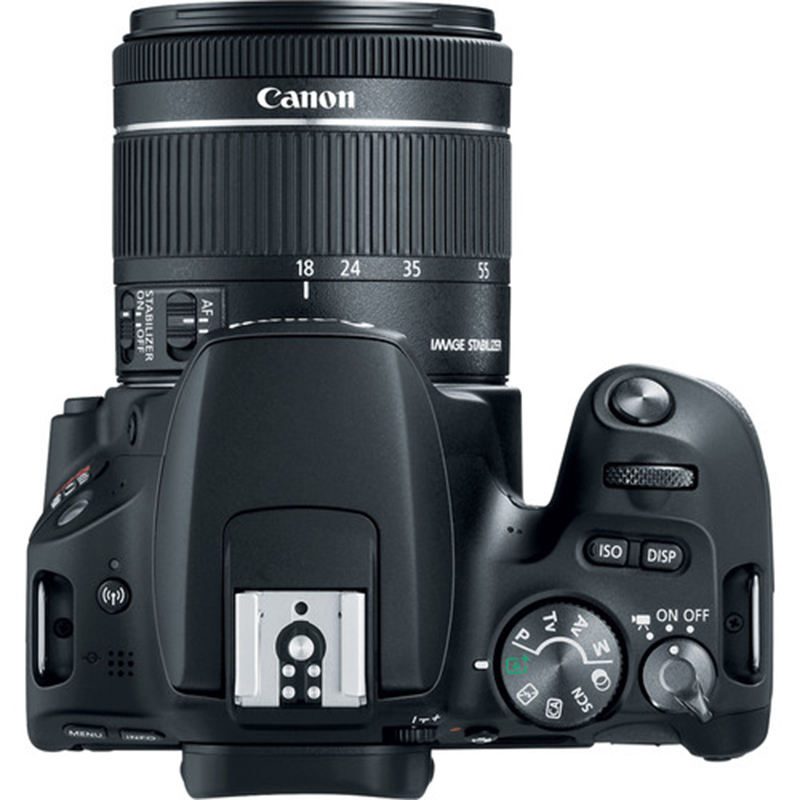 The camera includes the EF-S 18-55mm f/4-5.6 IS STM Lens, a compact mid-range zoom with an equivalent range of 28.8-88mm. The lens is designed to be small, a perfect match for the SL2, and incorporates both image stabilization and STM autofocus for ensuring your photos and videos are of the highest quality.